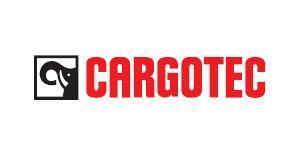 Cargotec Corporation provides cargo and load handling solutions worldwide. It operates in three segments: MacGregor, Kalmar, and Hiab. The company offers hatch covers, lashing systems, cranes, RoRo cargo and passenger access equipment, self-unloading systems, winches, steering gears, compressors, and deck handling equipment for ships; linkspans, shore ramps, and passenger gangways for ports and terminals; and solutions for subsea load handling, anchor handling, and towing and mooring operations. It also provides container and cargo handling equipment, such as straddle and shuttle carriers, terminal tractors, yard cranes, ship-to-shore cranes, reachstackers, empty container handlers, and forklift trucks; and related automation, software, and integration solutions, as well as Navis terminal operating systems, Bromma spreaders, and Siwertell bulk handling systems. In addition, the company offers on-road load handling products comprising loader cranes, forestry and recycling cranes, demountables, truck-mounted forklifts, and tail lifts, which are used in business areas that comprise construction, infrastructure, distribution, forestry, landscaping and agriculture, warehousing, waste and recycling, and defense. The company serves maritime transportation and offshore industries; and transportation companies, local municipalities and national governments, fleet operators, single truck owners, rental companies, and truck manufacturers. Cargotec Corporation is headquartered in Helsinki, Finland.